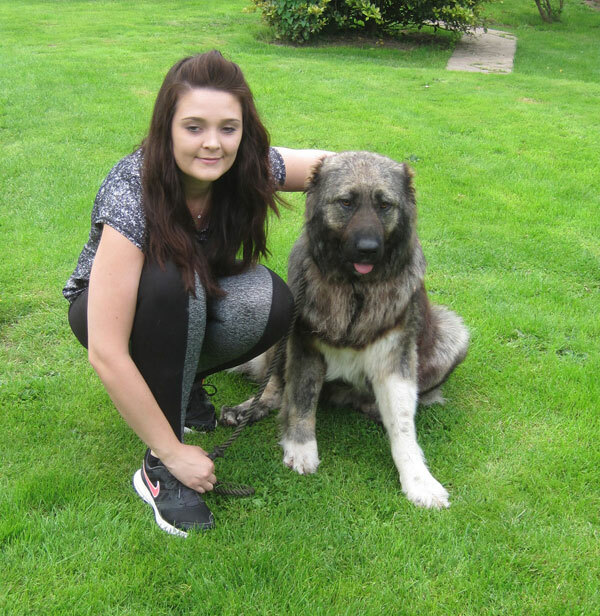 CAUCASIAN SHEPHERD RESCUE: The BEST Online in the UK! GSDR: The BIGGEST & the BEST CHARITY in ENGLAND & WALES! 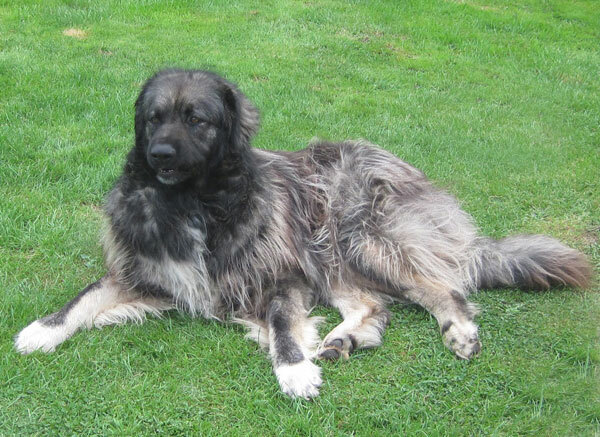 Rescuing & Rehoming Caucasian Shepherd (Ovcharka) Dogs. Although we are a German Shepherd Dog rescue, there does not seem to be an official Caucasian Rescue here in the UK, so since 2013, we have been helping these dogs find homes and have built up a good knowledge of this breed. Most of these dogs are finding their way into the UK through unscrupulous breeders in eastern Europe or coming in via questionable rescuers with no rescue back up here in the UK. Most that we have helped so far, have been picked up as strays here in the UK. They may be the most stunning big furry puppies but they will soon grow into an adult weighing as much as 70Kg. Their weight, strength and their extreme guarding instinct, gives them the reputation of the most formidable guard dog you can own. They will guard their property, their family including humans and other pets. 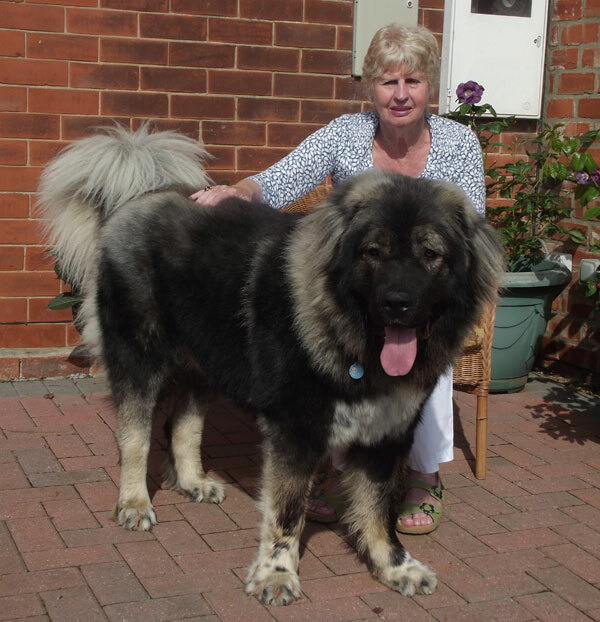 This is not the breed for everyone, indeed very few homes here in the UK will be either suitable or capable of owning a full grown Caucasian Shepherd. This is not a dog for suburbia, they need rural homes with either a very large secure garden or preferably, securely fenced land. They will dismantle wooden fencing with their teeth or simply smash through it, if in guard mode. They are renowned for their barking, they can be nuisance barkers and they have a bark that would wake the dead! 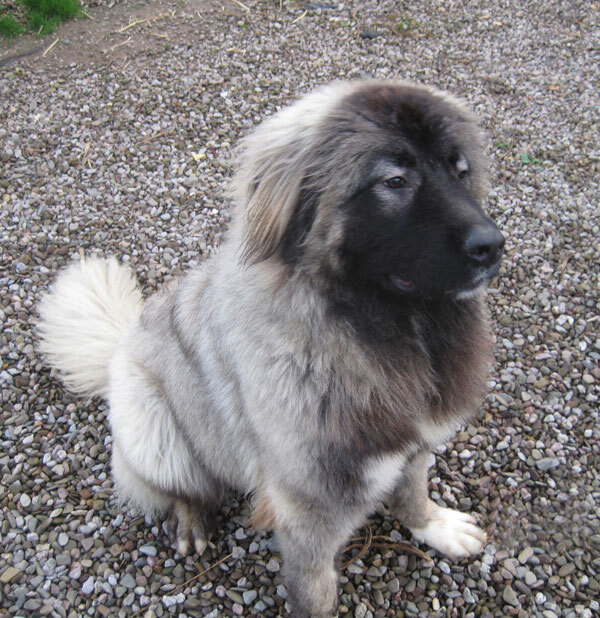 The Caucasian Shepherd originates from ancient Molosser breeds, they have outstanding working characteristics as well as being striking in appearance because of their sheer size and beautiful colourings. These dogs have a very powerful urge to defend and if the dog has not been properly socialised and trained as a youngster, it may prove to have very ferocious tendencies which for most pet owners will be unmanageable. 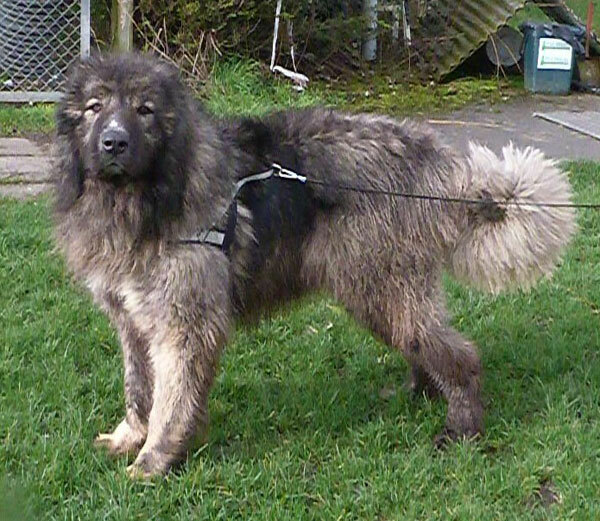 The Caucasian Shepherd is a heavy set, giant breed weighing up to 70Kg with a height up to 72cm. They have a thick, dense double layered, water resistant coat with lots of feathering, particularly on their huge bushy tails. Their paws are enormous with hair growing in between their toes for insulation and protection. They have huge ears which are densely covered with hair, again for insulation. These dogs are working dogs that were designed for being able to withstand extreme weather conditions up in the mountains. They generally prefer to be outdoors and don't cope too well with heat. In their native country, the barbaric practice of ear cropping is still used which they claim is to protect them from attacks from wolves if they are flock guarding. Colours are usually a mix of black, white, rust, grey, fawn and cream. Their life expectancy is 10-12 years. 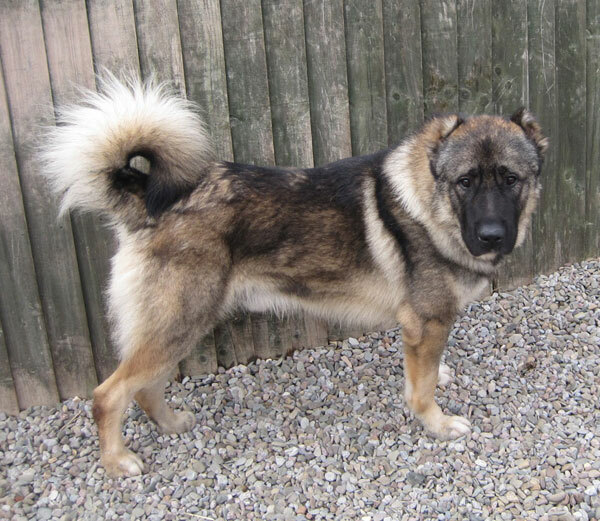 GSDR found Bear a lovely new home. The Caucasian Shepherd is nothing like a German Shepherd other than it's strong urge to protect and defend. They will guard everyone and everything that belongs to their family including children, other pets and property. They can be difficult to read, unlike a GSD and sometimes they appear not too bright, but a Caucasian is always watching and listening. They are very strong willed and assertive so need an owner who is firm and assertive who must ensure proper socialisation and training to avoid ferocious unmanageable tendencies. These dogs are very strong, very courageous - nothing seems to phase them. They are generally OK with other dogs if properly socialised although can be dominant towards strange dogs. Their recall is pretty poor, especially if they are distracted. 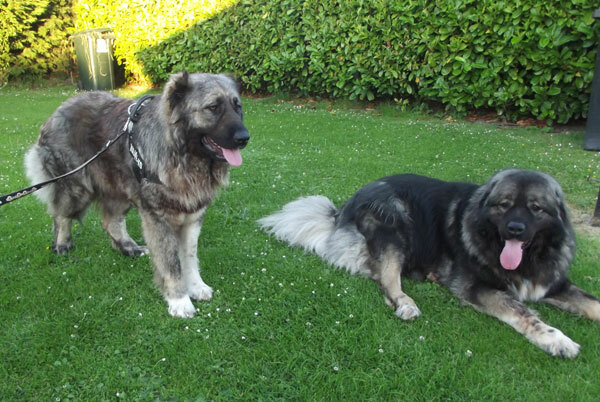 Although these huge dogs are not particularly high maintenance when it comes to exercise, they do still need a daily walk where they should be made to walk to heel on lead. They are best suited to owners who have land or at least a very large secure garden where they can safely run free off lead. This is not the kind of dog you should be letting off the lead in a public park! Sox went to live with Bear. Most of the Caucasians we have rehomed have the been the longer coated type and require a lot of grooming. Their long feathers can get very matted so require frequent brushing to keep them tangle free. Even the shorter coated type will require frequent grooming. They tend to have two big moults a year when they shed copious amounts of hair - it comes out in handfuls and you can fill bin bags full of it. This is not really a breed that is suitable for the vast majority of homes in the UK, but there are some very unscrupulous people who are exploiting these magnificent dogs. Unsuspecting owners are often paying thousands for a Caucasian puppy, many of which are not particularly well bred or are coming from what we would regard as puppy farms. It's a sad fact that many of these dogs are arriving in the UK and ending up in rescue with unregistered foreign microchips. Many have been picked up as strays. Most new owners who acquire a Caucasian puppy will not have researched the breed properly and when that very cute, fluffy puppy starts to grow, they realise that they have taken on much more than they can cope with. We have been helping Caucasians find new homes for 3 years now but we are very selective about where these dogs are rehomed. Irresponsible rehoming of these dogs would be a disaster for the breed.